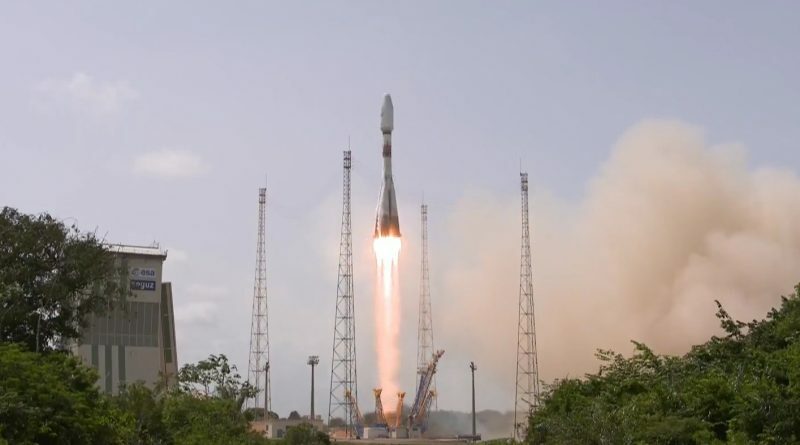 A Russian-built Soyuz rocket soared into the skies over the Guiana Space Center on Friday with the fourth set of O3b broadband satellites joining twelve constellation craft launched in recent years to connect those parts of the world where Internet access is not readily available through conventional means. 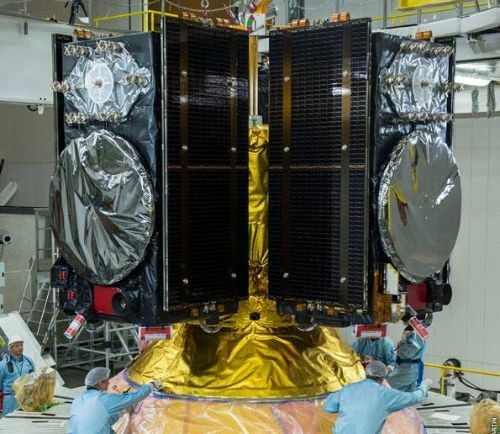 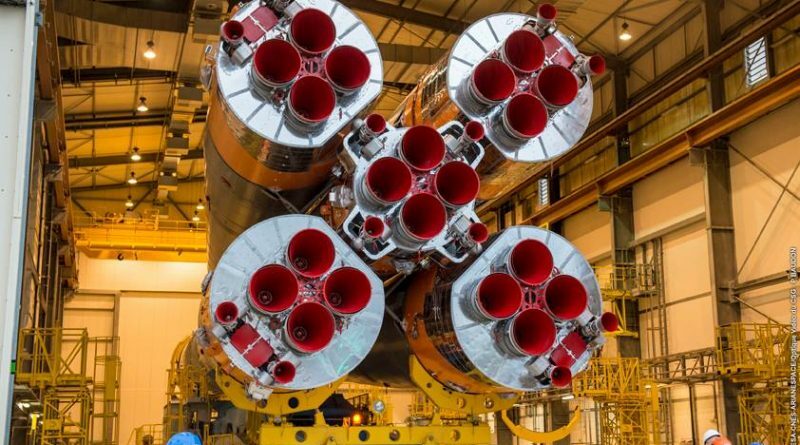 The first Soyuz launch from the Guiana Space Center in nearly ten months is on tap on Friday as a ‘Europeanized’ version of the Russian workhorse stands ready to soar into orbit with the fourth set of O3b broadband Internet satellites. 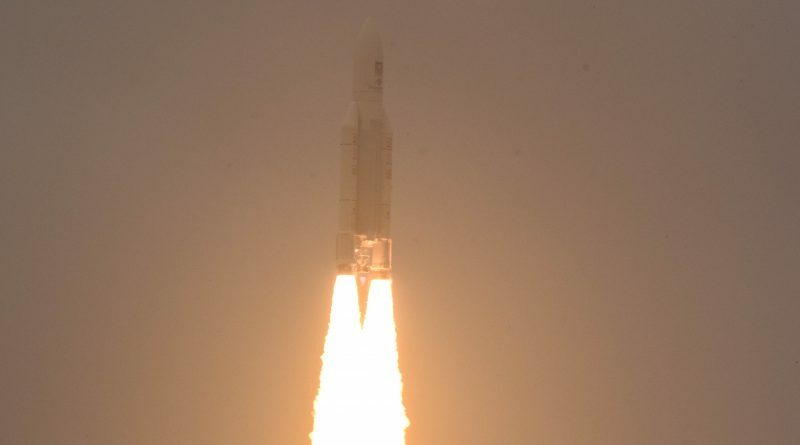 Europe’s Ariane 5 appears to have gotten away with a black eye on Thursday when its 97th mission veered off course from the onset of the rocket’s climb, but still managed to deploy two innovative communications craft in a stable, but off-target orbit from where it will be up to the SES 14 and Al Yah 3 satellites to rectify the situation and maneuver into their operational slots above the equator. 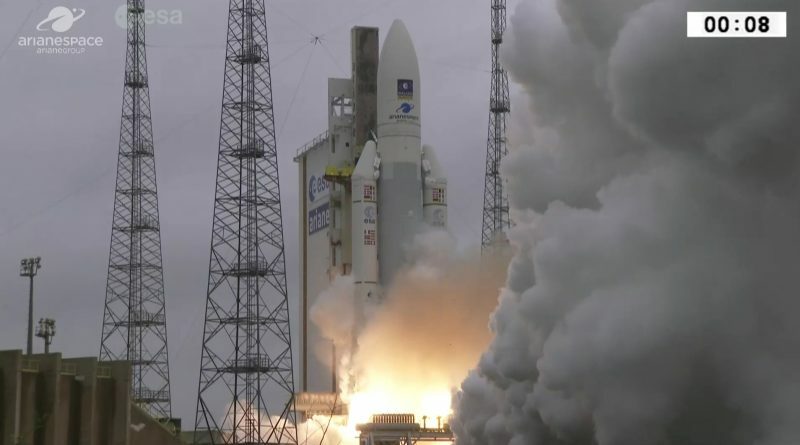 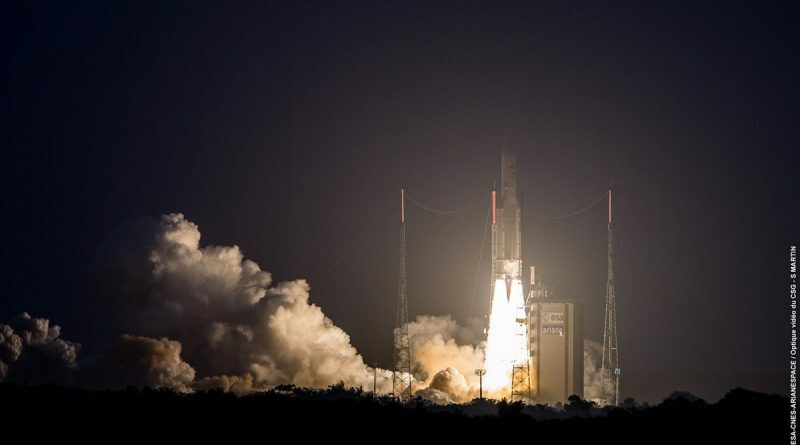 Europe’s Ariane 5 launch vehicle, after 82 consecutive successes over a 15-year streak, encountered a potentially serious anomaly on Thursday when lifting a pair of cutting-edge communications satellites into a high-energy Supersynchronous Transfer Orbit. 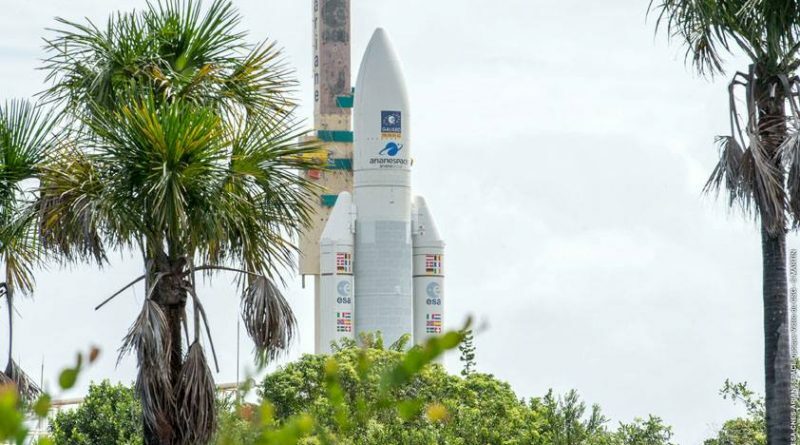 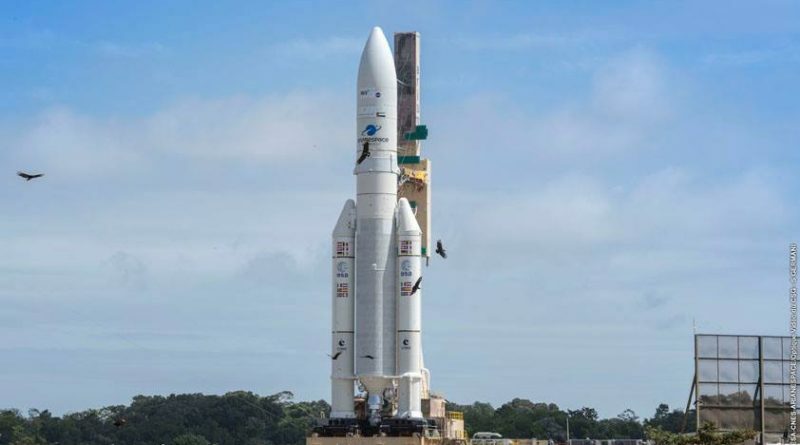 Europe’s Ariane 5 rocket rolled out to its French Guiana launch pad in preparation for liftoff on Thursday on the vehicle’s year-opening mission, tasked with deploying a pair of innovative satellites to a Supersynchronous Transfer Orbit peaking 45,000 Kilometers above the planet. 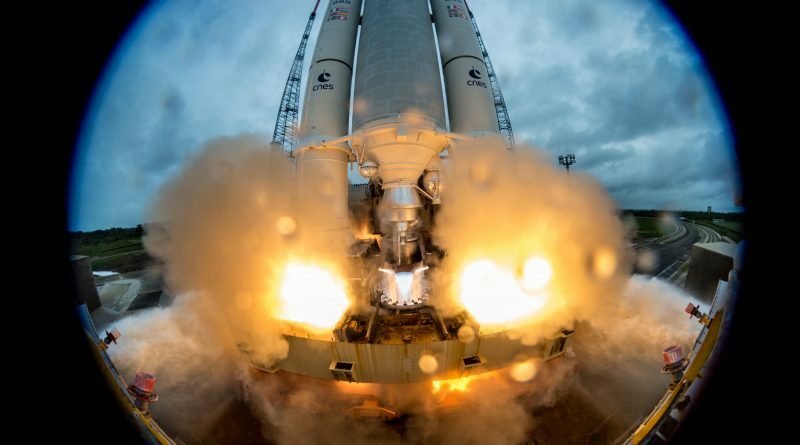 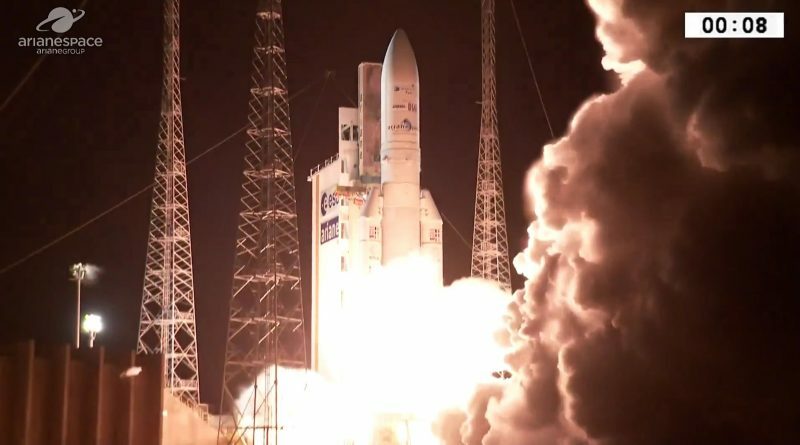 Europe’s Ariane 5 launch vehicle blasted off from the ELA-3 launch pad at the Guiana Space Center at 18:36:07 UTC on Tuesday, December 12 on its sixth and final launch of 2017. 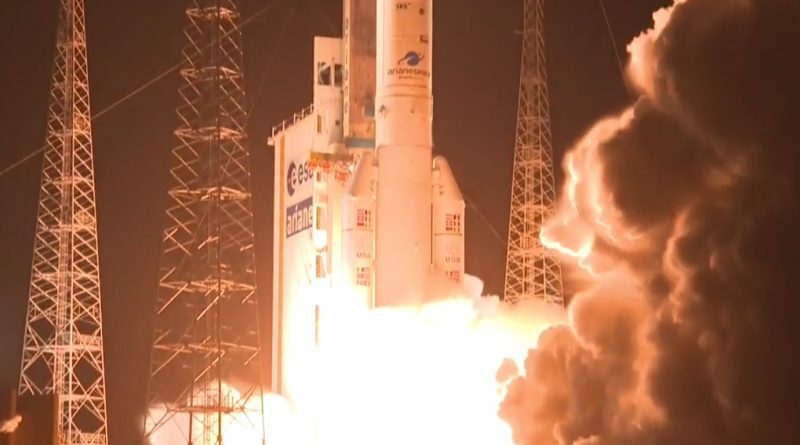 Europe’s Ariane 5 rocket lifted off from the Guiana Space Center on Tuesday on its second mission in support of the Galileo Navigation Satellite System, aiming to add the next four members to the growing constellation set to reach operational strength in 2018 to begin offering global navigation services. 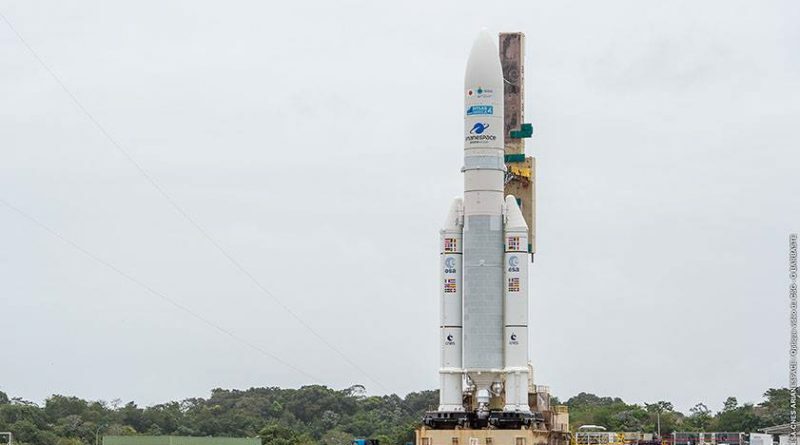 Europe’s Ariane 5 workhorse launch vehicle rolled to the ELA-3 launch pad at the Guiana Space Center on December 11, 2017 in preparation for launch with the second group of four Galileo satellites to take the navigation system one step closer to reaching its fully operational capability. 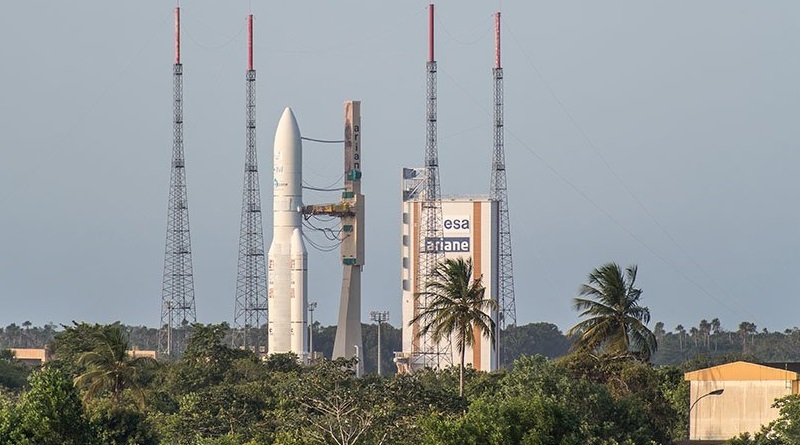 Four more satellites are set to join the European Galileo Navigation Satellite System on Tuesday, targeting liftoff at 18:36 UTC atop an Ariane 5 ES rocket blasting off from French Guiana. 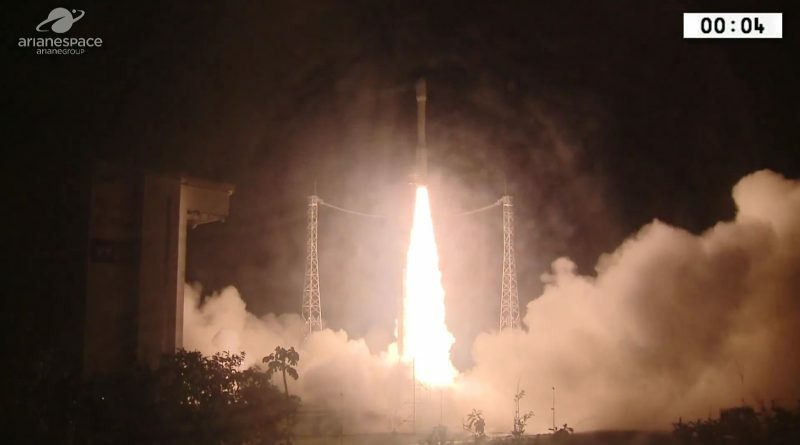 A European Vega rocket lit up the night over the French Guiana coast line on Tuesday, blasting off with a high-resolution communications satellite built by a European industry consortium for operation by the Kingdom of Morocco as a sharp eye in the sky for civilian benefits like environmental monitoring and mapping while doubling as a national security tool in border and coastal surveillance. 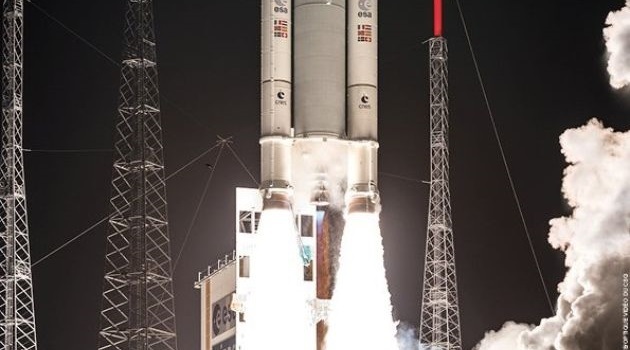 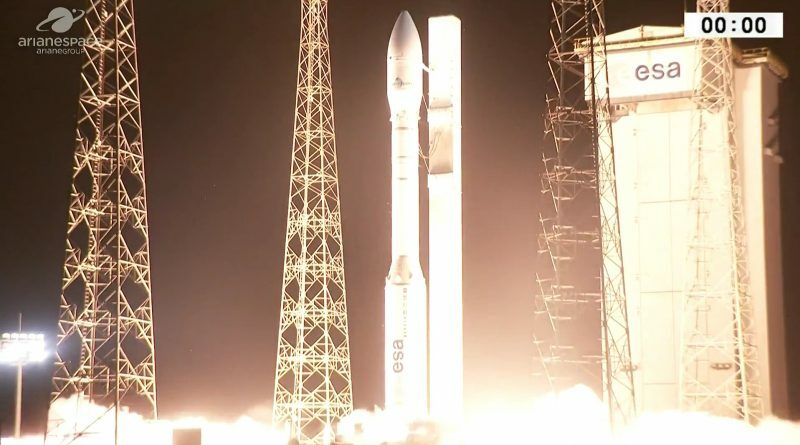 A European Vega rocket lifted off from the Guiana Space Center at 1:42:31 UTC on November 8, 2017 carrying into orbit the Mohammed VI-A satellite for the Kingdom of Morocco. 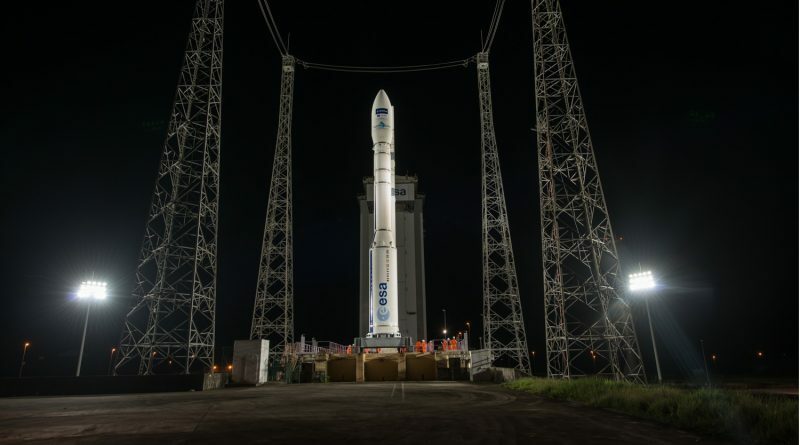 Europe’s Vega rocket has been given the green light for a nighttime liftoff from French Guiana at 1:42 UTC on Wednesday with the Mohammed VI-A satellite for the Kingdom of Morocco.